a local initiative to enhance recovery and wellbeing after cancer treatment. 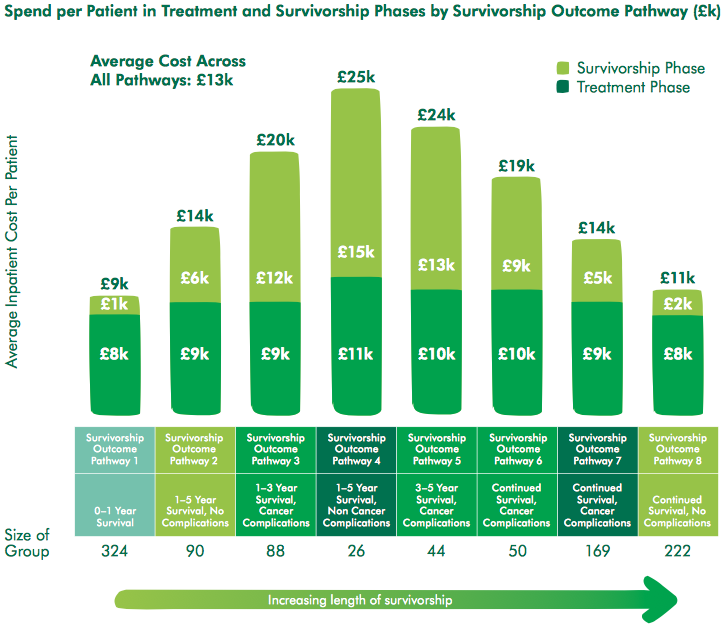 As this figure shows, patients with pre-existing morbidities, and people living with and beyond cancer, incur significant costs for the NHS, with the treatment phase in some cases costing less than half of the overall cost. This highlights again that patients' needs are far wider than just their active cancer treatment. These findings suggest that overstretched hospital teams and general practices need to consider new models for providing care for survivors of cancer. a patient education and support event. Permission granted for use as seen, this notice must remain intact in all cases. All rights reserved. The Holistic Needs Assessment (HNA)14 is a structured, guided questionnaire to assess patients for ongoing symptoms or difficulties following treatment. It is often conducted by the Cancer Nurse Specialist at the final outpatient appointment, or at a 'patient education and support' event (see below). As well as addressing immediate needs, this questionnaire could be used to risk-stratify patients as they come to the end of their treatment, to provide individuals with the most appropriate pathway for ongoing care or monitoring. The Treatment Summary15,16 is a template developed jointly by GPs and consultants, to ensure that key information about treatment, treatment effects, signs of recurrence, and any specific follow up or concerns, are communicated clearly to the GP practice and to the patient (if they wish). The Cancer Care Review is a primary care review of symptoms and concerns with signposting to relevant support.17 In some areas, practice nurses are receiving training to carry out these reviews as part of co-morbidity chronic disease management clinics in primary care. The Patient Education and Support Event—sometimes called a 'moving on day' or 'Health and Wellbeing Event'—is usually the last appointment with the hospital. It is a group event where patients recovering from the same cancer are brought together in small groups to learn about self-care, locally available support, exercise and diet, signs and symptoms of recurrence, and includes opportunities to build support networks and ask questions. It can be helpful to commission self-management courses for patients, and also to improve clinician communication skills around self-management. There is increasing evidence for the role of exercise in improving cancer outcomes, so some of these events incorporate exercise information, or there may be a separate exercise programme developed locally for cancer survivors. Commissioning for recovery is particularly challenging for cancer, because of the complexity of the commissioning landscape. Cancer care is fragmented across multiple commissioning bodies, including specialist commissioning, CCGs, local authorities, public health, and social care. Currently no one 'owns' oversight of the whole pathway, and that raises a particular challenge. In addition, the current levers and incentives (such as government targets) tend to favour the treatment stage, with a lack of accountability for the social, psychological, and emotional aspects of cancer care. The cancer Strategy for England 2015–202010 suggests that services to support living with and beyond cancer, including end-of-life care, should be commissioned by CCGs with support from health and wellbeing boards. The author proposes that collaborative commissioning discussions are essential, and some CCGs have already put in place governance arrangements with local stakeholders that support this approach. What are the consequences of not following a collaborative commissioning approach? Most CCGs do not have the funding to tackle the Recovery Package alone. The implications of not providing the right planned services for this expanding group of patients are that there will be increasing pressures on general practice and accident and emergency departments, and inefficient follow-up processes that waste resources on routine recalls while failing to support people in particular need. Most importantly, patients will continue to feel unsupported and have a poor experience of care. urgent and emergency care—avoidable emergency admissions. The Recovery Package also aligns very well with the House of Care model,21 which is a suggested coordinated service delivery model for people with long-term conditions. Commissioners are looking at this model both nationally and locally, and there is clear alignment between the two. carer support—a cancer diagnosis has an impact on loved ones too, so in conjunction with a local carer’s charity, counselling sessions are provided for carers at coffee mornings to give opportunities to share experiences. The Berkshire Cancer Rehabilitation Service links very closely with the local Macmillan volunteering service, whose volunteers befriend patients needing extra support and provide work-mentoring for those seeking new work opportunities. A multidisciplinary survivorship meeting is held monthly to enable all members of the Cancer Rehabilitation Service to discuss and plan patient interventions, ensuring a holistic approach. Cancer can have a huge impact on family finances, so close links with the local Macmillan Citizens Advice Bureau23 service have been established. The patient-centred HNA14 is the bedrock of the service and determines which of the services are appropriate for the patient; many unmet needs have been highlighted through its use. Most are psychological problems (such as anxiety), but the team has noted significant issues around sexual health and long-term physical effects of treatment (particularly bowel and urinary incontinence). The team has used this information to provide feedback to the appropriate site-specific teams. information about the benefits of physical activity and sustained improvements in physical activity. Patient feedback has been very encouraging (see Box 1, below). One person identified numerous concerns on her initial HNA; at the end of the intervention, she said she still had concerns but knew how to manage them. Another has stated that she felt being involved in the service 'was like a magic wand being waved' over her. setting financial rewards for partial and full achievement of the targets. Subsequent years' CQUINs can then expand the Recovery Package out to other specialities, using what has been learned from the first year. The needs of cancer patients extend far beyond their active treatment; in order to give patients appropriate support to live with and beyond cancer, innovative ideas and collaboration with other providers is needed. This article demonstrates the possibilities, with examples that have already been tried in the UK with considerable success. In order to protect primary care from this expanding demand and also to meet the needs of cancer patients, the author proposes that commissioners should consider these options. financial incentives help to formalise targets and prioritise resources. 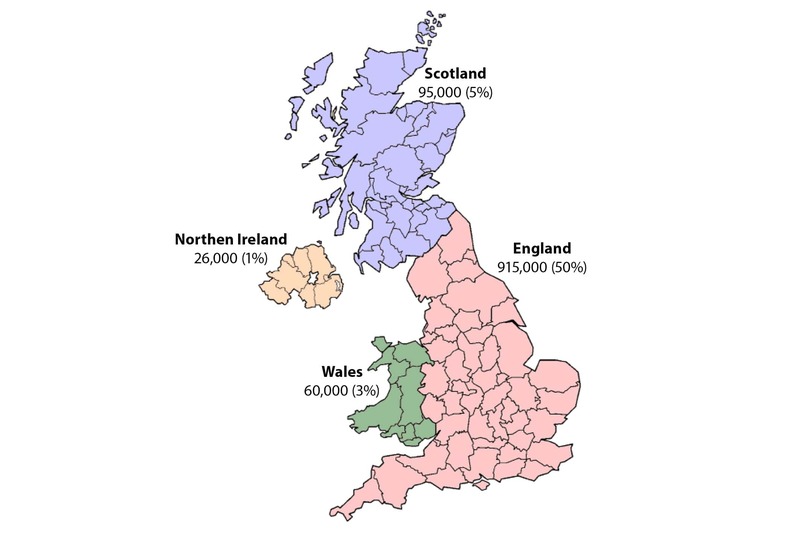 Maddams J, Utley M, Møller H. Projections of cancer prevalence in the United Kingdom, 2010–2040. Br J Cancer 2012; 107 (7): 1195–1202. Office for National Statistics. National population projections. Table A1-1, Principal projection—UK summary, 2014-based. Of NS, October 2015. Khan N, Rose P, Watson E. Primary care consultation behaviours of long-term, adult survivors of cancer in the UK. Br J Gen Pract 2011; 61 (58 4): 197–199. Armes J, Crowe M, Colbourne L et al. Patients' supportive care needs beyond the end of cancer treatment: A prospective, longitudinal survey. J Clin Oncol 2009; 27 (36): 6172–6179. National Cancer Survivorship Initiative website. NCSI legacy and Living With and Beyond Cancer Programme.www.ncsi.org.uk/news/new-living-with-and-beyond-cancer-programme (accessed 21 October 2015). Macmillan Cancer Support website. 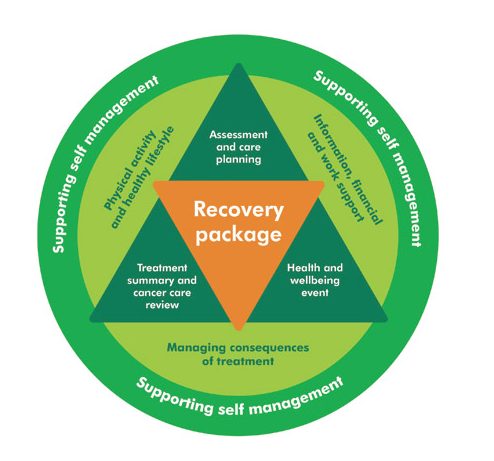 The Recovery Packagewww.macmillan.org.uk/recoverypackage (accessed 4 November 2015). Macmillan Cancer Support website. Treatment summary: a tool to improve communication between cancer services and primary care.www.macmillan.org.uk/Aboutus/Healthandsocialcareprofessionals/Newsandupdates/MacVoice/Treatmentsummaryatooltoimprovecommunication.aspx (accessed 4 November 2015). Campion-Smith C. Cancer care review—a patient who has completed primary treatment for cancer. InnovAIT 2011; 4 (3): 177–178. NHS England website. House of Carewww.england.nhs.uk/resources/resources-for-ccgs/out-frwrk/dom-2/house-of-care/ (accessed 20 October 2015). Relate website. www.relate.org.uk (accessed 21 October 2015). Citizens Advice website. Cancer support service. Supporting people affected by cancerwww.citizensadvice.org.uk/about-us/how-we-provide-advice/advice-partnerships/cancer-support-service/ (accessed 21 October 2015). Somerville M, Strawbridge R. Review of Macmillan Wellbeing Programme. Institute of Vocational Learning and Workforce Research in Health and Social Care, Bucks New University, February 2015.